NAEO 2014 Annual Conference — Intercon Messaging Inc.
Cheryl, Taryn, Gloria and I attended the 2014 NAEO (National Amtelco Equipment Owners) 30th Annual Conference earlier this month. Yet another great event! I’ve said it before and I’ll say it again: “It never ceases to amaze me how helpful and willing to share knowledge the people in this industry are!” So to keep in the spirit of the organization, here’s a summary of our experiences this trip! 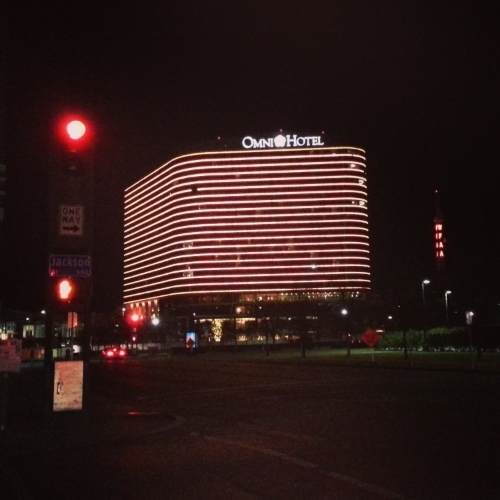 This years’ conference was held in Dallas, TX at the Omni Hotel. It is a beautiful new hotel close to shopping, restaurants and historical landmarks like the JFK Memorial. Luckily we were able to see a little bit of the area while we were there! Reconnecting with friends and industry colleagues, making new ones, and serving as conference ‘buddies’ for first timers. Keynote speaker Cy Wakeman is a national keynote speaker, business consultant, New York Times bestselling author, and trainer. Her message showed people how to turn excuses into results and transform unhappy employees into accountable ones. We got some face time with Amtelco and TAS Innovations. Once again our amazing vendors are working to implement changes we have requested! There were great Operations, Sales/Marketing and Technical breakout sessions as well as the wonderful Round Tables discussions! The four of us split up so we could attend as many sessions as possible. Still wish I could be in two places at once sometimes! Very excited about our journey into SQL! The possibilities seem to be endless! I attended the Amtelco Infinity maintenance session again this year and still took over a page of notes! Cheryl and Taryn both attended the IS course and have some great ideas to move forward with! Don’t Turn Ropes into snakes! Texas is the land of contrast from the vibrant colors in their landscape to their forms of energy production. Cheryl and Taryn love free stuff! Towels are multi – purpose. They can be towels, shawls, bonnets, and so much more! Bill can form any cowboy hat using the condensation from his glass. Texas loves their food – felt like we were on a ‘foodie’ holiday! As good as it sounds, we don’t want an office filled with BMW’s! Playing the church game in Texas is a bit overkill. Abilene is like a mini vortex – hard to leave! All in all it was a fantastic trip! Thank you to everyone at the conference and of course everyone at the office who covered for us while we were gone!